John Abraham, Diana Penty-starrer Parmanu finally has a release date. In a tweet, trade analyst Taran Adarsh uploaded a poster which puts the release at 25 May, 2018 and uses the hashtag #1Month2Parmanu. 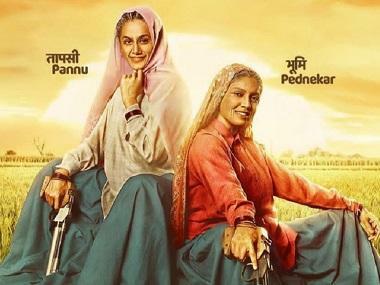 The film, which is based around the Pokhran nuclear tests, had run into legal troubles after Prernaa Arora of KriArj Entertainment and John Abraham of JA Entertainment had moved court to claim ownership of the film. The first hearing of the legal dispute over the rights of the film was held on 17 April. The Bombay High Court had earlier pointed out that KriArj has legal and valid rights to the film which cannot be taken away, as per a report by DNA. It is unclear at this time how and if the legal dispute has been completely resolved. Both parties had earlier flung a slew of accusations at each other. Arora said that John has a total sum of Rs 35 crore which was given to him by KriArj to cover the cost of production and his own remuneration. John maintained that Arora provided his company personnel with wrong bank details and repeatedly defaulted on crucial payments because of which his company had to terminate their contract. The film was earlier slated to release on 4 May to coincide with the same month as the Pokhran tests 20 years ago.